by physicsworld.com --A research collaboration headed up at the National University of Singapore (NUS) has successfully employed machine learning to investigate the cellular architecture of the human brain. The approach uses functional MRI (fMRI) data to automatically estimate brain parameters, enabling neuroscientists to infer the cellular properties of different brain regions without having to surgically probe the brain. The researchers say that their technique could potentially be used to assess treatment of neurological disorders or develop new therapies (Science Advances 10.1126/sciadv.aat7854). “The underlying pathways of many diseases occur at the cellular level, and many pharmaceuticals operate at the microscale level,” explains team leader Thomas Yeo. “To know what really happens at the innermost levels of the human brain, it is crucial for us to develop methods that can delve into the depths of the brain non-invasively.” Currently, most human brain studies employ non-invasive approaches such as MRI, which limits examination of the brain at a cellular level. To bridge this gap between non-invasive imaging and cellular insight, researchers around the world have used biophysical brain models to simulate brain activity. However, many of these models rely on overly simplistic assumptions, such as assuming that all brain regions have the same cellular properties, which is known to be incorrect. The researchers found that brain regions involved in sensory perception, such as vision, hearing and touch, exhibited cellular properties opposite to those from brain regions involved in internal thought and memories. The spatial pattern of the human brain’s cellular architecture closely reflects how the brain hierarchically processes information from the surroundings. This form of hierarchical processing is a key feature of both the human brain and recent advances in artificial intelligence. “Our study suggests that the processing hierarchy of the brain is supported by micro-scale differentiation among its regions, which may provide further clues for breakthroughs in artificial intelligence,” says Yeo. Moving forward, the NUS researchers plan to apply their approach to examine the brain data of individual participants, to better understand how individual variation in the brain’s cellular architecture may relate to differences in cognitive abilities. They hope that these latest results will provide a step towards the development of individualized treatment plans with specific drugs or brain stimulation strategies. middleeastmonitor.com --Congratulations are in order for Nadine Labaki. It’s been announced that the Lebanese director’s Capharnaüm is up for another prestigious award. The politically-charged film, which already took home the Cannes Film Festival Jury Prize, has just been nominated for the Best Film Not in the English Language at the 2019 BAFTA Awards, set to take place on February 10, 2019. Capharnaüm will compete against films including Alfonso Cuaron’s Roma, Hirokazu Koreeda’s Shoplifters, Paweł Pawlikowski’s Cold War, and Marcello Fonte’s Dogman. Congratulations are in order for Nadine Labaki. It’s been announced that the Lebanese director’s Capharnaüm is up for another prestigious award. The politically-charged film, which already took home the Cannes Film Festival Jury Prize, has just been nominated for the Best Film Not in the English Language at the 2019 BAFTA Awards, set to take place on February 10, 2019. Capharnaüm will compete against films including Alfonso Cuaron’s Roma, Hirokazu Koreeda’s Shoplifters, Paweł Pawlikowski’s Cold War, and Marcello Fonte’s Dogman. “And another one!” wrote Labaki on Instagram. “We’re extremely proud to announce that #Capharnaum is nominated for a @BAFTA for Best Foreign Language Film! Thank you from the bottom of our hearts to the British Academy of Film and Television Arts for such an immense honor.” The nomination marks Labaki’s first-ever nod for a BAFTA Award. It’s also Lebanon’s first nomination. In fact, Labaki is the third Arab director to ever be recognized at the annual BAFTA ceremony, alongside Morocco’s Ismaël Ferroukhi who earned a nomination for Le Grand Voyage in 2005, and Saudi filmmaker Haifaa Al-Mansour, who received a nod for Wadjda in 2013. Capharnaüm tells the story of a neglected 12-year-old boy in Beirut, who takes his parents to court for giving him life in a world of pain and suffering. It received a 15-minute standing ovation following its premiere at Cannes in May. Labaki, who made her directorial debut with 2007’s critically acclaimed Caramel (in which she also played the lead role), is also hotly tipped to enter the Oscars race with Capharnaüm, with nominations set to be announced on January 22. “Making movies is what I’m good at,” the director told Vogue Arabia during her cover interview this October. “Cinema is the means through which I can best express myself. I use it to limit the effects of the destruction all around us and to assume my responsibility as a member of this society but also as an artist. I believe equally in the importance of the artist’s commitment to defend her society’s causes as I believe in cinema’s ability to effect change.” The politically-charged film has so far received nominations for the Golden Globe Awards (it lost to Roma) and the Critics’ Choice Awards, set to take place on Sunday, January 13, 2019.
by Donna-Abu-Nasr -- bloomberg -- Lebanon’s caretaker economy minister said there are no plans to restructure debt after the finance minister was quoted as saying the move was being studied. “There’s definitely no restructuring for debt,” Raed Khoury said Thursday in a phone interview. 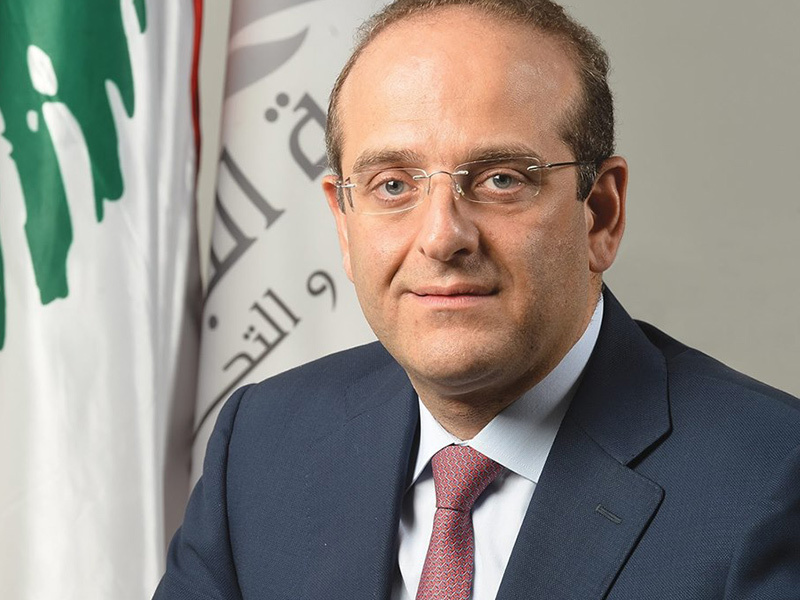 “Bondholders and depositors are extremely safe.” Lebanese dollar bonds due 2028 plummeted after Al-Akhbar newspaper cited Finance Minister Ali Hasan Khalil as saying planned fiscal reforms include a debt overhaul. Yields jumped the most since the notes were issued in 2015. The minister didn’t immediately respond to questions sent by Bloomberg. Caretaker Deputy Prime Minister Ghassan Hasbani also said he isn’t aware of any “tangible potential decisions” to restructure the country’s debt. "These are merely thoughts, but they require a full cabinet discussion and agreement around the budget," Hasbani said. "No one should be reacting to individual ideas before they even get translated into comprehensive plans” that will need cabinet approval, he said. by aawsat.com -- Lebanese parliament Speaker Nabih Berri proposed on Wednesday the postponement of the upcoming Arab League economic summit in Beirut later this month because of Lebanon’s ongoing failure to form a new government. Berri also asserted "again the necessity of having Syria participate in such a summit", lawmakers from his parliamentary bloc quoted him as saying at a meeting. The Arab League suspended Syria's membership seven years ago after the government crackdown on mass protests against regime leader Bashar Assad. Some Arab states, including ones that had backed opposition factions, are now seeking to reconcile with Assad's state, which has recovered most of the country with Russian and Iranian help, reported Reuters. Last month, the United Arab Emirates re-opened its embassy in Damascus and Sudanese President Omar al-Bashir became the first Arab head of state to visit since the conflict began. For Syria to be reinstated, the League must reach a consensus. Egypt's foreign minister Sameh Shoukry said on Tuesday Damascus must take several steps before it can return to the League, including making political progress in defunct UN peace talks. "When this happens, we can talk about the matter. At this time, there is nothing new qualifying it," he said. Assad's Lebanese allies, including Berri and Iran-backed Hezbollah fighting alongside the Syrian regime, have ramped up calls for Syria to join the summit. The issue remains very divisive in Lebanon with many blocs opposing the normalization of ties with Damascus. The Lebanese presidency seemed to be pressing ahead with plans to host the summit in Beirut, inviting journalists on Wednesday to apply for accreditation in time. The lack of a government has caused particular concern because Lebanon faces both structural economic problems and regional instability. The International Monetary Fund has stressed the importance of Lebanon putting its debt on a sustainable footing, while bond yields and the cost of insuring against Lebanese sovereign debt have shown signs of stress in recent months. by Terence Mills, forbes.com -- The singularity is near, or maybe we're already in it. Whatever the case is, machine learning and big data will have a tremendous influence on our society. The machine minds are coming online, and you had better learn to adapt if you want to succeed. But what are big data and machine learning? Keep reading to find out. Computers have certain capacities. They have a memory to store information. They have computational power, with some machines performing more "flops" per second than others. What happens when these machines face such a large amount of data that traditional techniques of analysis start to fail? That's the world of big data, and it's a world we're living in now. Thomas Young was a physicist who lived from 1773-1829 in London. According to Andrew Robinson in his book The Last Man Who Knew Everything, Young was the world's last true polymath. You might be a smart person, but we know in our modern world that you have to be a specialist to survive. No one is a jack-of-all-trades anymore.The world has become too complex for humans to even try to know everything. That's what big data is: It's the realization that there exist piles of data where traditional human methods of analysis fail. The world is too complicated for the human mind to make sense of every part of it. This presents a serious challenge and a tremendous opportunity for enterprising people who can apply automate techniques to help solve problems. A simple example is the stock market. You can look at all sorts of information about the stock market, and once in a while you might come up with a good trade, but you can't possibly keep up with computerized trading platforms that execute thousands of trades per second. It's just too much information for your mind to process. You need a computerized solution to take in all the information that is relevant to the problem. 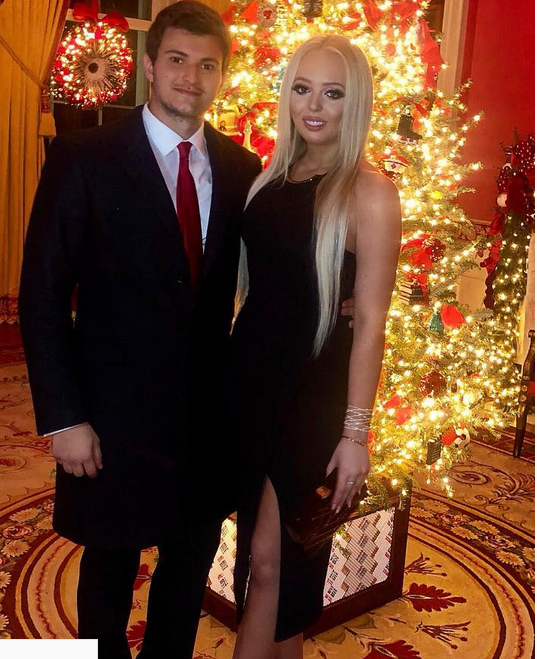 by emirateswoman.com --American President, Donald Trump’s youngest daughter Tiffany Trump, just made her relationship with billionaire Michael Boulos Instagram official. The first daughter posted a throwback picture of her and her boyfriend in the Red Room at the White house. Michael’s family is originally Lebanese, but he was born in Lagos, Nigeria and attended an elite international school in the nation’s largest city. He is the heir of multibillion-dollar Nigerian conglomerate Boulos Enterprises, which trades in vehicles, equipment, retail, and construction. Michael moved from Nigeria to London to complete his undergraduate degree, but he regularly visits Lebanon with his family every summer. His father, Massad Boulos, even ran for the Lebanese parliamentary elections in 2018 before withdrawing his nomination.